techniques to create our own meaningful masterpieces. put items in my ART ROOM mailbox! 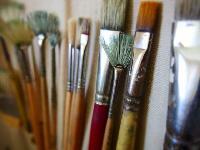 Check out my "LINKS" page to visit museums and artists... get some GOOD IDEAS! Art has always been a major part of my life.